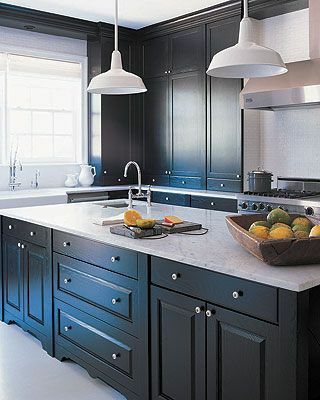 Gray kitchen cabinets - Benjamin Moore Paint Color Midnight Oil 1631. 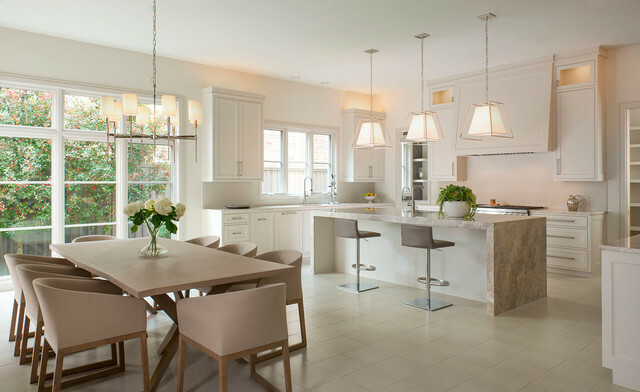 From Heydt Designs (www.heydtdesigns.com) "We went for classic, timeless style because it fit their Shingle-style home and so it wouldn’t go out of style,” Heydt says. 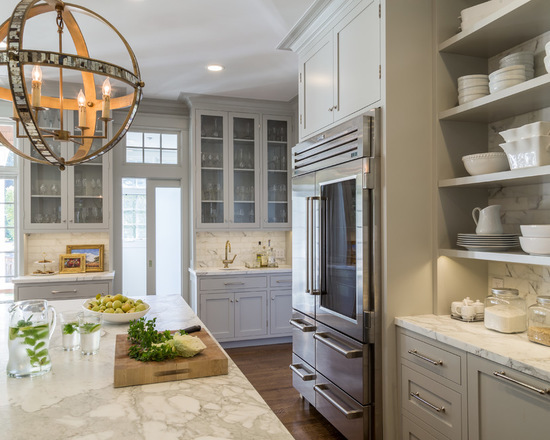 “The family has a very hectic schedule, so they really needed the space to feel calm.” Light gray walls continue from the cabinets to the walls throughout the space, with a darker paint on the island adding a grounding accent. 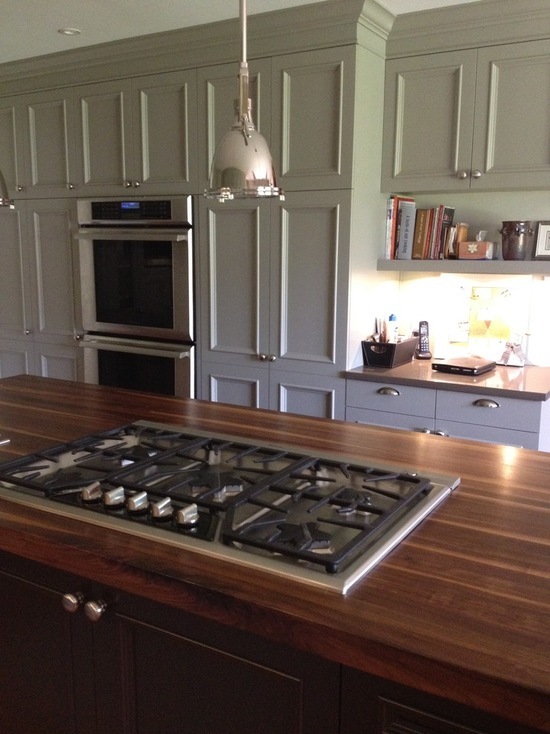 Kitchen with a colour palette Grey base - white behind - New York marble - recycled timber feature wall. 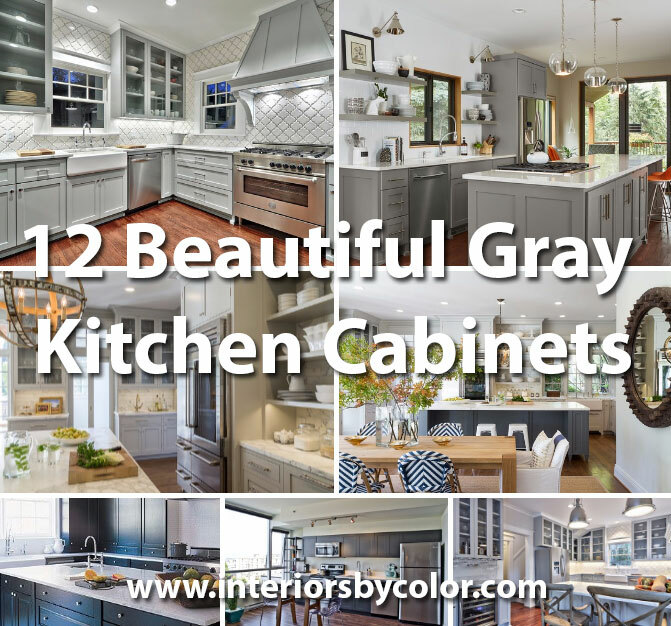 Ceiling: Benjamin Moore Pure White, top kitchen cabinets painted in Benjamin Moore Gray Owl, kitchen island painted in Benjamin Moore Whale Gray 2134-40. 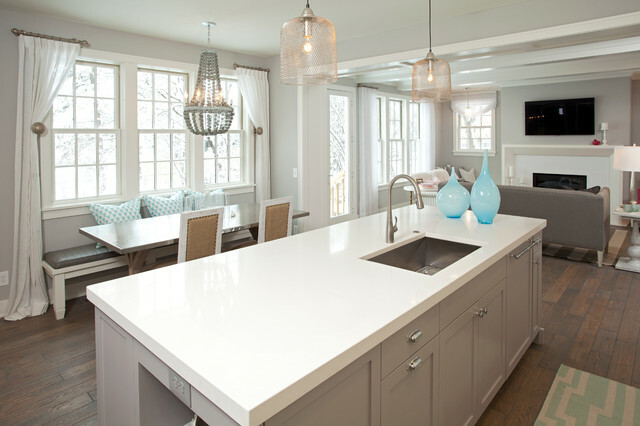 Coastal casual kitchen in gray with a few aqua accents. 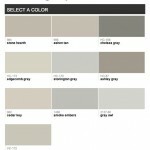 Kitchen Island - Benjamin Moore Baltic Gray, Walls - Benjamin Moore Stonington Gray HC-170. 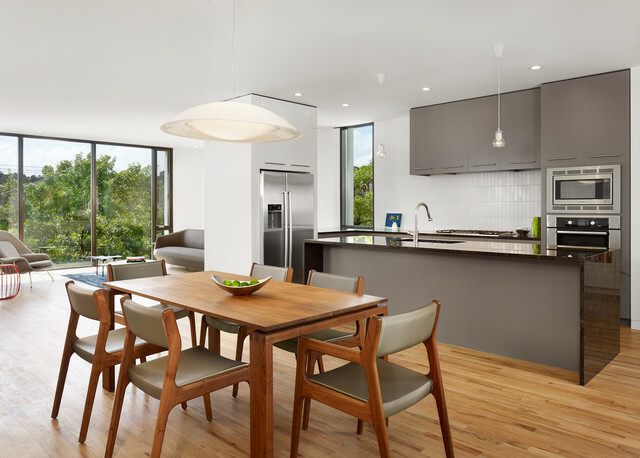 Interior by REFINED LLC. 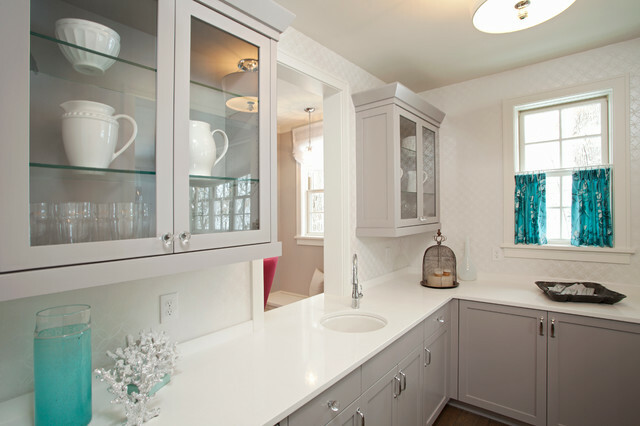 Gray kitchen cabinets painted in Benjamin Moore Covington Gray with Beveled Arabesque Tiles by Avenue B Development. 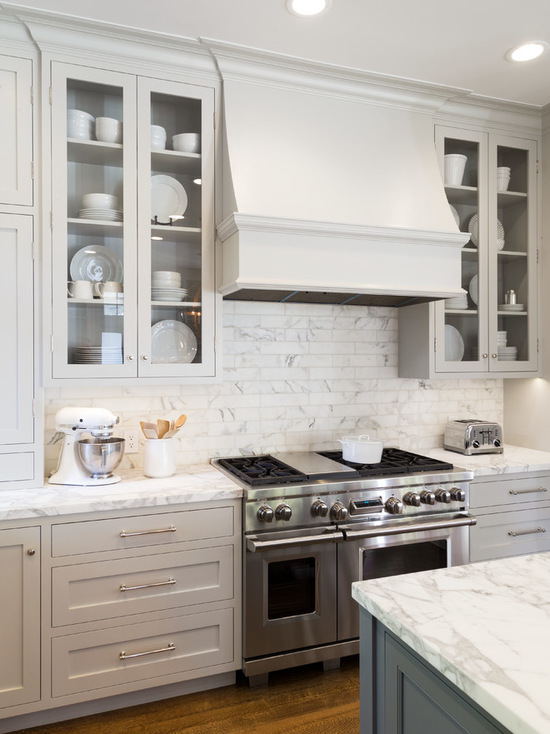 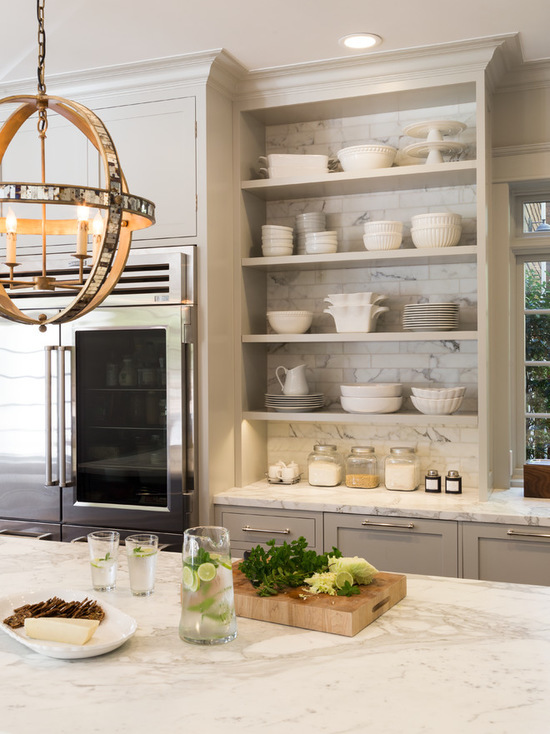 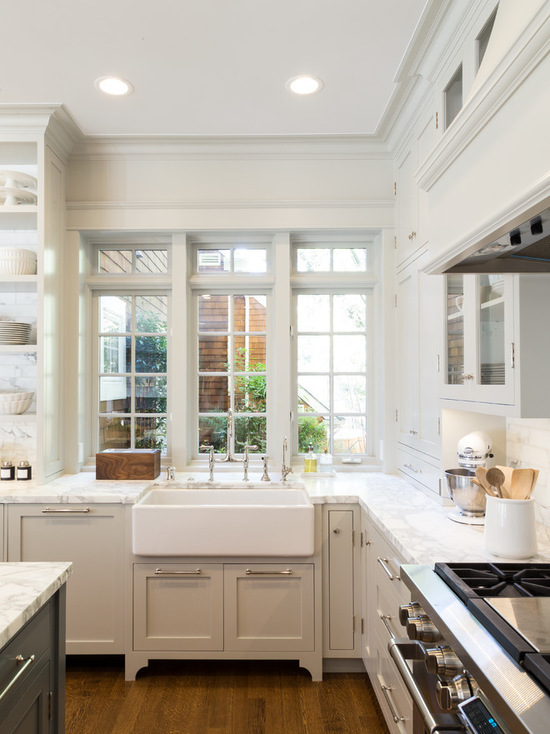 Asmall traditional l-shaped eat-in kitchen in San Francisco with an undermount sink, shaker cabinets, grey cabinets, marble benchtops, white splashback, stone tile splashback, stainless steel appliances, light hardwood floors and an island. 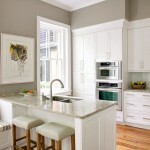 With kitchen island and cabinets painted in Benjamin Moore Clarksville Grey by Amanda Armstrong Sava. 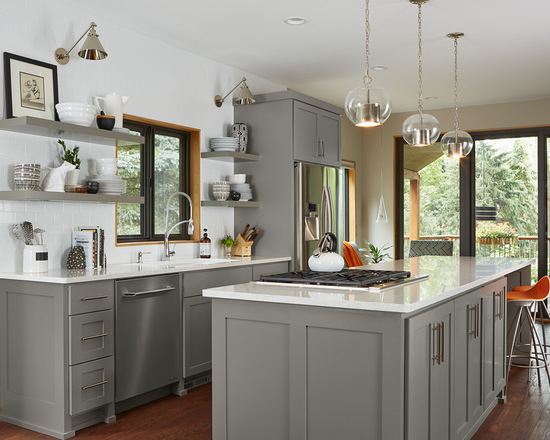 Two complementary colors give the kitchen some depth: Gettysburg Gray on the perimeter and Bittersweet Chocolate on the island, both from Benjamin Moore. 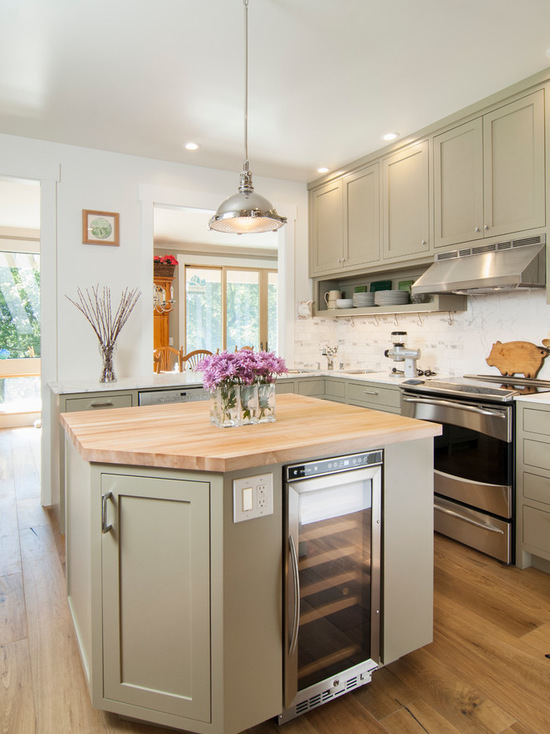 Black walnut butcher block on the island makes for easy prep work, while quartz tops the perimeter counters. 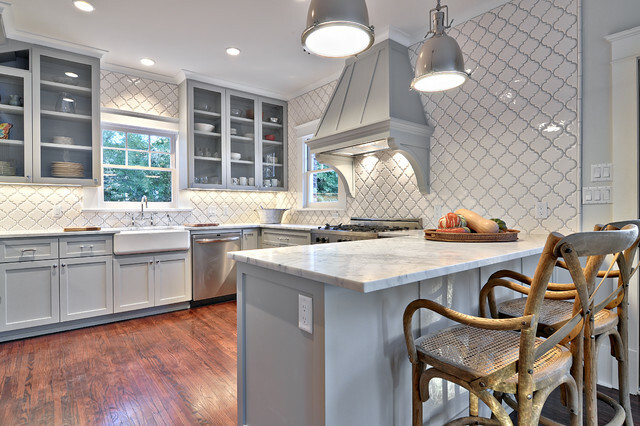 The tiles are from Eleganza called Metropolis Blanc 12"x24" the backsplash is an imported porcelain textured tile from Daltile's Next series.The stone on the island is Ghiaccio quartzite The cabinetry is Benjamin Moore Edgecomb Gray HC-173 and the walls are Benjamin Moore Sea Pearl OC-19. 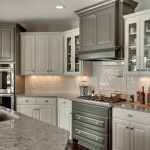 From Danes Custom Homes. 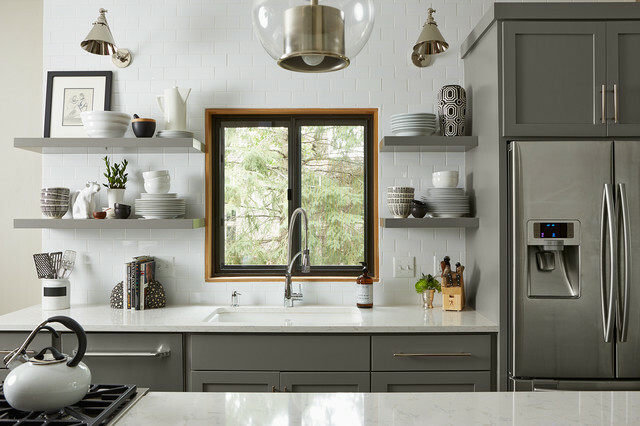 A transitional galley kitchen in Minneapolis with an undermount sink, shaker cabinets, grey cabinets, white splashback, subway tile splashback, stainless steel appliances, dark hardwood floors and an island. 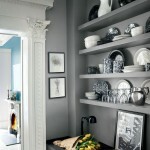 Kitchen cabinets painted in Chelsea Gray by Benjamin Moore. 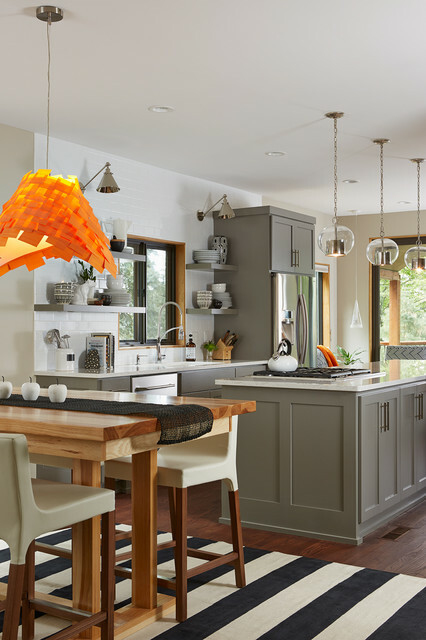 From Fiddlehead Design Group, LLC. 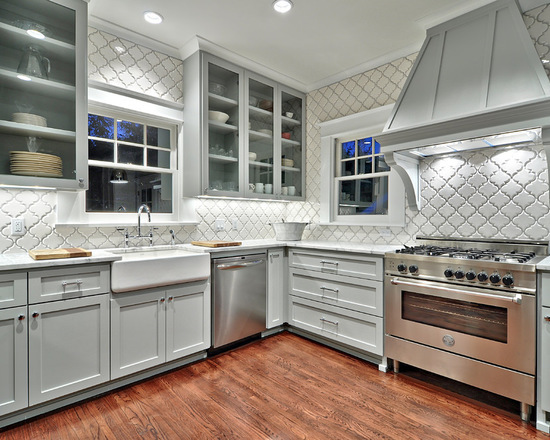 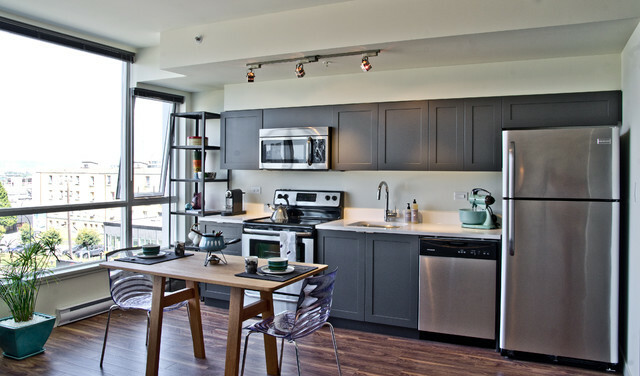 A modern eat-in kitchen in Austin with flat-panel cabinets, grey cabinets and stainless steel appliances. 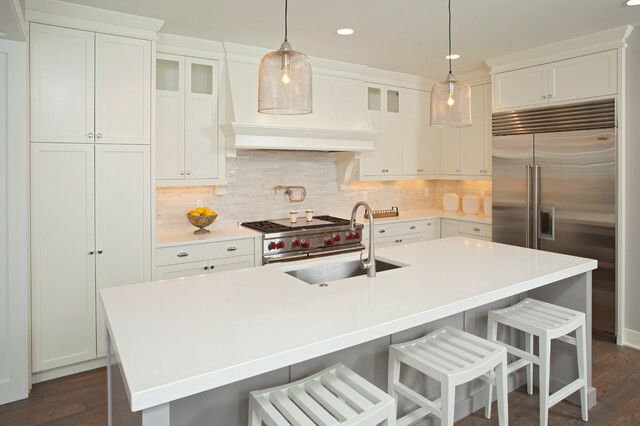 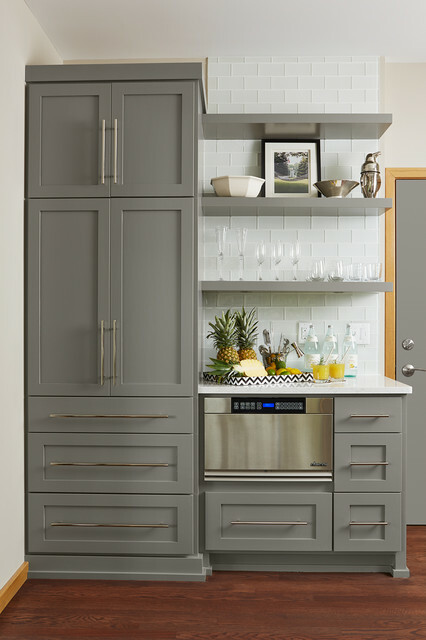 Birch plywood was used for these cabinets and they were painted with Benjamin Moore's Whale Gray, #2134-40. 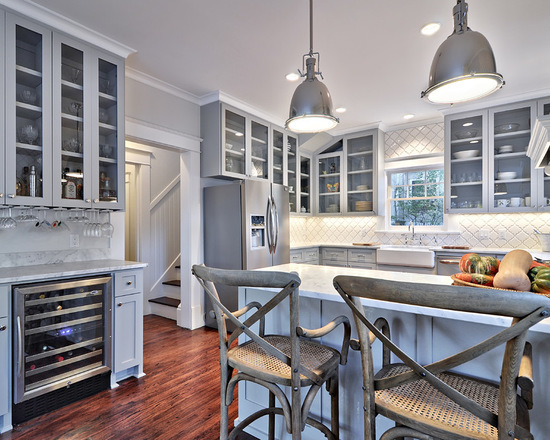 From RisherMartin Fine Homes.